A January, 2014, an article in “The American Conservative” described why some Millennials are leaving Evangelical churches to join more liturgical denominations like Anglican, Orthodox and Roman Catholicism.¹ It isn’t just church members making the switch; some pastors are as well. There’s something in what’s called “high church” formalism that appeals to these denominational converts. There’s an implicit sense that the high church, with its formal liturgy is more “authentic to ancient Christianity”; that it better represents the Faith of the Church Fathers. That claim was made explicitly in a podcast episode by an Orthodox priest, when he stated that The Church has always been liturgical. Has it? Since nearly every church has some form for its services, they all have a kind of liturgy. But the word “liturgy” connotes a formal set of rituals around which the service weaves. High church liturgy includes things like what vestments the priest wears, what readings are given, when people stand, sit and kneel; what prayers are said and where each of these take place in the service. Liturgy includes what formula is used in the celebration of Eucharist (Communion). Liturgical churches often follow a calendar in which the weeks of the year are given to the service of some aspect of the Gospel, the Christian Life or some notable person in Church History. The interior of liturgical churches is usually decorated more elaborately than the average Protestant or Evangelical church, with a formal altar area and elaborate ornamentation throughout the building. Was the Early Church liturgical? That is, were gatherings of the church for services intended by Jesus and the Apostles to be what we see today in the average Roman Catholic, Anglican or Eastern Orthodox service? While there is no prescribed form for a local church service set forth in the New Testament, there are hints as to what the church did when it met. Acts 2:44-46, describes what the very first church, that is, the collected believers in Jerusalem, did immediately after Jesus’ ascension. They gathered in the courtyard of the Temple to listen to the Apostles teach about Jesus, then met in homes for meals and prayer. It’s eminently reasonable to assume that these first Christians, as Jews, patterned their services after what they were familiar with; the local synagogue. While synagogues had an order of service, they were not the highly ritualized kind of service performed by priests in the Temple. The emphasis in the synagogue was on instruction in God’s Word and prayer. The order of service was for just that; order, rather than chaos. In contrast to claim that the Early Church was liturgical, try imagining Jesus and the Apostles in the regalia worn by an Anglican, Roman, or Eastern priest today, or even a thousand years ago. Imagine them stepping through the rituals conducted in these churches. The image is utterly foreign to what we know of the Apostles. Are we then to believe that all such accoutrements to a church service were their desire and plan? In the 2nd Century AD, the Early Church Father Justin Martyr described what a typical church service was like. He said the church met on Sunday, Scripture was read, a pastor then taught, prayers were made by all, then a meal was shared. Part of that meal included the celebration of Communion as a memorial to what Christ had done for them. There’s no mention of special vestments, head gear, croziers or elaborate rituals. This is not to say more liturgical elements and rituals weren’t added on early in Church History; they were. They began to appear toward the end of the 3rd Century and became popular after Constantine’s conversion in the early 4th Century. This movement toward a more liturgical service was the result of large numbers of illiterate Gentiles being converted, a shedding of the Jewish flavor of the Faith and its emergence into a Gentile sphere, where such ritualized religion was the norm. It was also encouraged by the increasing difference and distance between clergy and laity, something Jesus and the Apostles had spoken against. So, while the Early Church was indeed liturgical, the earliest Church was not. 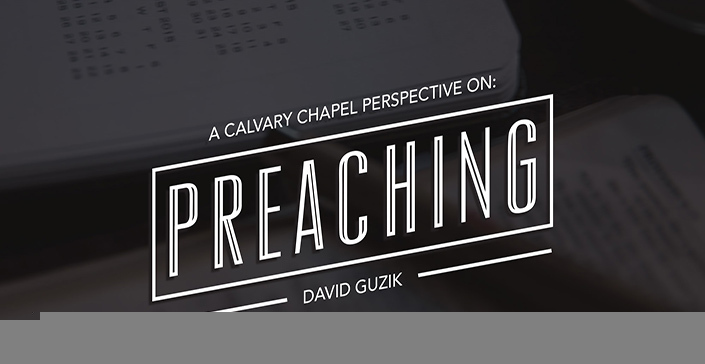 In our years as Calvary Chapel pastors, we’ve met people so married to their church tradition, they viewed anything dissimilar to what they knew as suspect. They were so used to having God speak to them in the setting they were comfortable in, they found it hard to believe God could use a different setting with someone else. God isn’t limited by forms, as long as those forms aren’t inherently contrary to His nature and will. He can work as powerfully in a high church liturgical service as in a simple unadorned chapel prayer meeting, and vice versa. Let’s not judge one another in the Family of God, regarding things like how tall and what the walls are made out of or what’s hung on them. The Apostle Paul addressed this very attitude about forms, when he told the Church at Rome in Romans 14:5–13 . . .
5 One person esteems one day above another; another esteems every day alike. Let each be fully convinced in his own mind. 6 He who observes the day, observes it to the Lord; and he who does not observe the day, to the Lord he does not observe it. He who eats, eats to the Lord, for he gives God thanks; and he who does not eat, to the Lord he does not eat, and gives God thanks. 7 For none of us lives to himself, and no one dies to himself. 8 For if we live, we live to the Lord; and if we die, we die to the Lord. Therefore, whether we live or die, we are the Lord’s. 9 For to this end Christ died and rose and lived again, that He might be Lord of both the dead and the living. 10 But why do you judge your brother? Or why do you show contempt for your brother? For we shall all stand before the judgment seat of Christ. 11 For it is written: “As I live, says the LORD, every knee shall bow to Me, and every tongue shall confess to God.” 12 So then each of us shall give account of himself to God. 13 Therefore let us not judge one another anymore, but rather resolve this, not to put a stumbling block or a cause to fall in our brother’s way.